1. Start shopping. Insurance companies, banks, brokerage houses, mutual-fund companies, and even nonprofit organizations all sell annuities. 2. 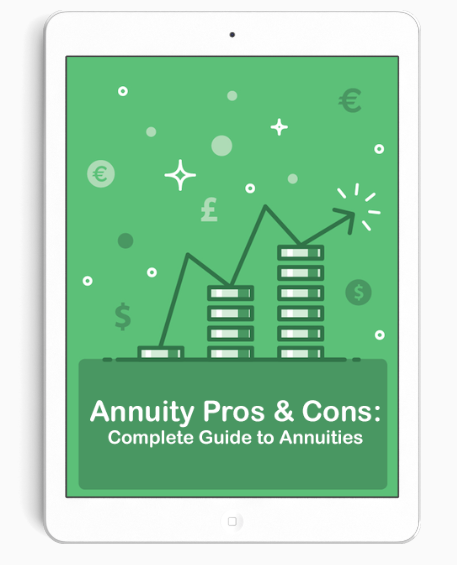 Learn the two basic kinds of annuities and how they differ. 3. A fixed annuity guarantees you a certain future payment. This is a good option only for very, very conservative investors. The rate of return on your money is low, and annuities use actuarial tables based on a person living to be 100. 4. With a variable annuity, you choose where to invest your money, and the size of your payment depends on the performance of that invested capital. They are a great way to invest money tax-deferred that is not otherwise eligible for retirement savings. You can choose to invest in stocks, mutual funds, money markets and other options. 5. Put money into the annuity during the accumulation period; receive payments during the payout period. Choose between immediate or deferred payouts. 6. Check out the tax implications: You don't pay any tax on the annuity as long as you don't withdraw any money. Once the payout begins, the money you receive is taxed as ordinary income. 7. Be aware of penalties. If you begin to take money out prior to age 59 1/2, you may be hit with a 10 percent IRS penalty, on top of any taxes for which you may be liable. Additionally, the company may assess surrender charges if you take out money not long after you made a deposit (but that can sometimes be as long as 10 years). 8. Choose a beneficiary. Should you die before the payout period-- or at some point during the payout period itself--your beneficiary gets a death benefit (either all the money in the account or a predetermined minimum). 9. Be clear on what the other fees are, such as any mortality and expense risks charges and administrative fees. And always get a complete list of all fees and charges attached to any annuity. 10. Work with your tax adviser when considering an annuity. For all the tax advantages of annuities, you may do better in the long run with an IRA or a 401(k) plan where you work.